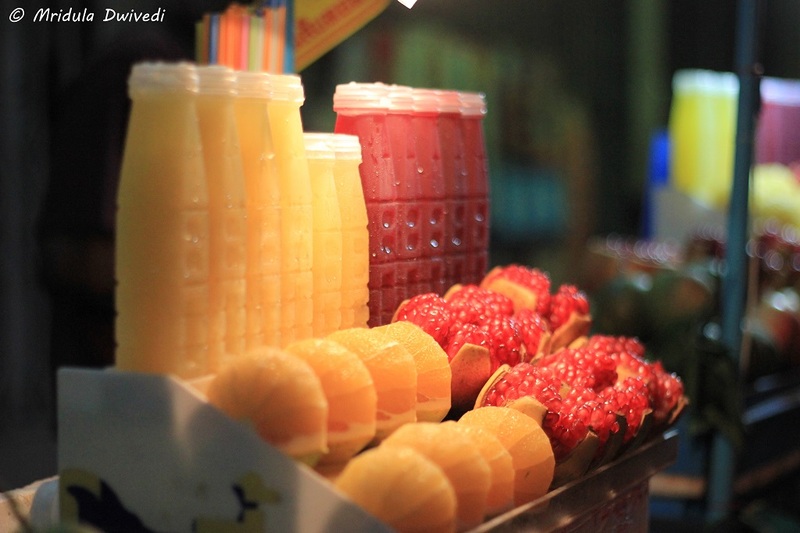 Thailand is my most visited country, I have been there 11 times as I write this. On all my previous trips, my point of entry was Suvarnabhumi, Bangkok. And if you enter from Bangkok, that is where you get your visa on arrival for Thailand. 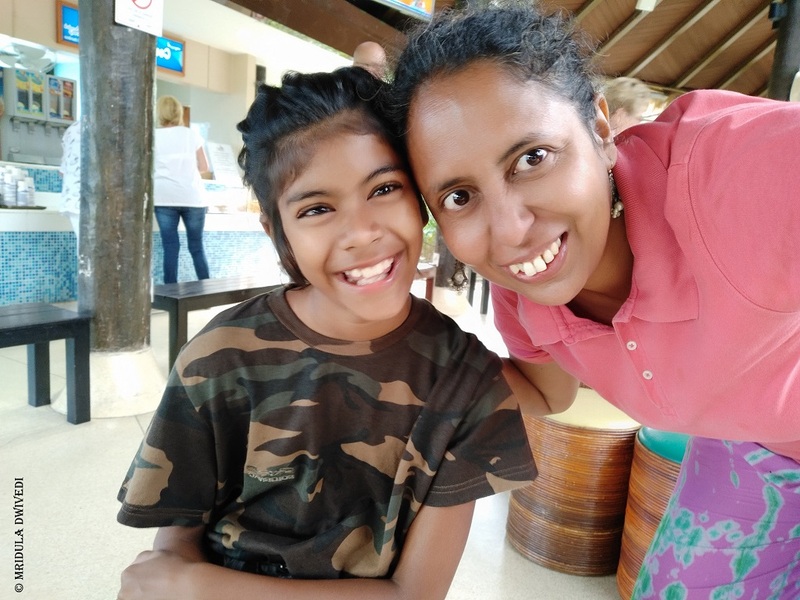 However, on the most recent trip my daughter, Chhavi and I traveled via Singapore for a vacation at Koh Samui. 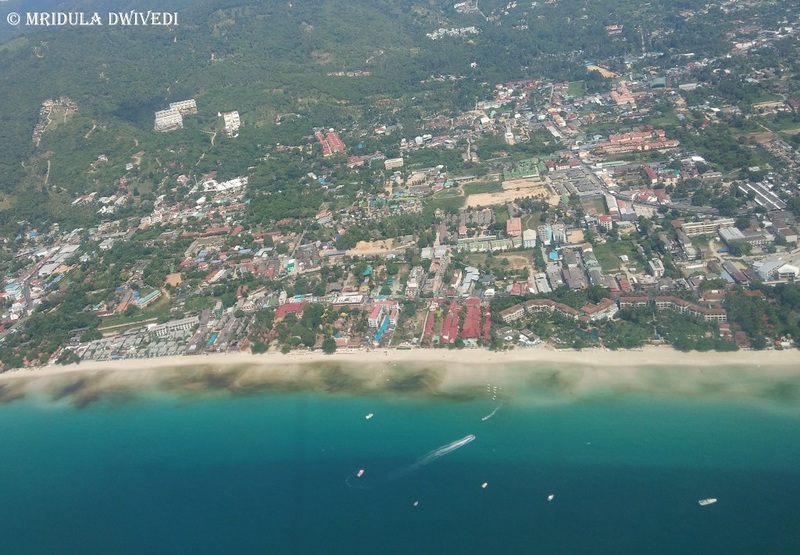 Getting a visa on arrival at Koh Samui on Indian Passport was a breeze! Koh Samui is a beautiful, small airport, much different from the regular ones we encounter. It looks more like an open air tropical resort than an airport. As you climb down the stairs of the plane, carts with open sides carry you to the main building. As there are only a few flights landing at Koh Samui, the lines at the passport control are much shorter than Suvarnabhumi Bangkok. I think a lot of nationalities do not need visa to enter Thailand, so when Chhavi and I came in to passport control area, there was hardly any queue at visa on arrival counters. There were exactly two families on the visa on arrival counter- us and one more! The other family was waiting for something, so I had all the counters to myself! As I have been to Thailand many times, I know they accept only Thai Baht for the fee. It is 2000 per person at the moment. I paid the fee for both of us, got the receipt and proceeded to the passport control. There was a short queue, which was nothing compared to what I see in Bangkok. I was offered the express counter for additional payment of 200 Baht per person, but I did not use it. In Bangkok I almost always use the express queue as the wait time is anywhere from 45 to 60 minutes. We stood in the queue for about 10 minutes, got our passports stamped. We ran to the luggage counter to get our bags! Our holiday has started! It was that easy for us to get the visa on arrival at Koh Samui! I have done 6 trips in all to Thailand. I have always availed visa on arrival in Thailand without any problem. I have stood in the fast track line mostly. But I have used the normal queue as well and got my visa every time. I was extremely thrilled when they introduced visa on arrival online application for Thailand. On my most recent trip I availed the facility (October 15 to 21, 2015) and I am thrilled with the results. I would strongly recommend that you make use of it. Using the online process is extremely easy. The documents required are the same for both the processes. The requirements are listed at the official website of the Immigration Bureau of Thailand. 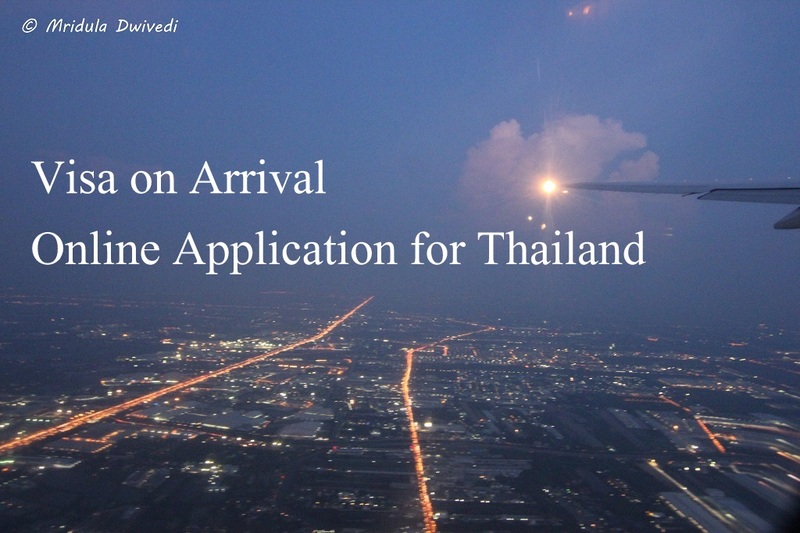 The video below explains how to apply online for your visa on arrival in Thailand. However for those with slow internet speed I will sum up the process. Go to the website of the Immigration Bureau of Thailand. Change the language to English. Click on the link online application for visa on arrival. When I clicked it on Chrome it started warning me the ‘website is not safe.’ It worked fine for me in Firefox. Look at the list of countries that can fill the online application form. India is one of them. If your country appears on the list check the ‘accept the terms’ box and click accept. It takes you the application form to be filled. You get 30 minutes to fill the form after which the session expires. So do keep all your documents handy. The form asks for the same details as the print form. However, when I arrive in Thailand after missing a night’s sleep I find it more difficult to figure out my hotel address, expiry date of passport etc. It was so much easier to fill the form online sitting in my living room. All the star fields are mandatory. You can skip the rest. After completing this screen it would ask you to accept the information as true. It you find any errors you can go back and modify the form. Once you are done, print the form and bring it with you. At the airport I realized that I could leapfrog all the passengers from my very full flight who were standing at the counter and filling their forms. I almost always end up using the fast track queue (1100 baht fee) because by the time I would complete my form there would be a long queue at the normal 1000 baht fee counter. This time as I had a completed application form, I was the 4th person the normal queue. Do remember to sign the form after printing. I forgot to sign it. The lady checking the documents before the immigration counter pointed it out to me. She stapled the photograph for me as well. I signed the form and stood in the line for a few minutes. Soon it was my turn to hand in my documents. The immigration officer entered something in his computer, tallied my flight numbers on the paper ticket I gave him and waved me through. The immigration officer stamped it in the next few minutes and I was running to the luggage carousel happily. Previously I would arrive at the baggage belt when it would be almost empty. This time I was one of the first people to take off my luggage and sprint out to the Bangkok city! In my opinion it is absolutely worth filling out the form online as it helps you in getting ahead of the crowd at least now. You could print the form, fill it with hand and still gain an advantage over the queue. But the immigration desk would not have your details on their computer with a hand filled form and it would slow the queue. They may ask for more documents as well. I should be heading out to Thailand next month again and I would let you know if I find the online experience any different the next time. I am for sure going to fill my visa on arrival application online on my next trip to Thailand as well.